As is known to all, video editing is very popular nowadays. People create videos for birthday, weddings, presentation or for marketing etc. Hundreds of thousands of cool videos are created every day. Do you think it requires professional video editing skills to create these videos or they can only be produced by designers or video specialists? Not really. With a powerful video editing software and wonderful video templates, everyone can make a compelling professional video in a fairly easy way today. One of the most important factor is that there are a lot of creative video templates available in modern society and people can integrate the video templates to their videos simply by dragging and dropping. If you are an amateur or hobbyist and you are really interested in making videos, it is highly recommended to use video resources to create quality video because they can help you save a lot of time/energy. To get started to edit a video with video templates, you can refer to the following parts. Part1. What are video templates? Part2. How to get video templates? Part3. How to use video templates? Part 1. What are video templates? Video templates are known as the sample videos like intros, credits or effects like filters, overlays, 3D effect, 4D effect and other resources like texts and music, sound effect and video backgrounds. All kinds of videos which are interesting and can be repeatedly used in other videos can be called video templates. In general, we mainly mean the wonderful and cool videos samples or resources. There are kind of different video templates from easy video templates to pro ones. For instance, adobe after effects is most famous. It comes with hundreds of preset effects and animations and can efficiently and accurately create cool videos with motion graphics and visual effects. After Effects it has now been widely used in digital and film post-production. It is kind of complicated and professional, usually they are used by video designers and specialist. To learn more about Adobe after effects, you can visit adobe official website. Besides these professional video templates, there are also a lot of other consumer video templates which are much more easy and intuitive. With these easy resources, you can only do some customization to create new videos. Though video template is very important to help to create videos easily, from my perspective, I think the video templates should only be added as a decoration only and it shouldn't supersede your actual videos what really counts. Part 2. How to get video templates? The first way is that to create video templates by yourself. It is kind of complicated for beginning users. But if you are a specialist and have a lot of time and you really want so share some video templates with others, devoting into video making, I would recommended you to create menu templates by yourself and share to others. Furthermore, some free video Templates are available online, you can simply Google to find them, though not all of them are with high quality. And you will have to spend a lot of time to search them because there is not really a website which provide all these video library free and only some of them for free. But considering that they are free, there is nothing much to complain. Another way to find video templates is by getting them from video editing software. Kinds of video editing software offer royalty free video templates like music, text, filters, overlays etc. By getting a software, you owned a lot of royalty free video templates. Part 3. How to use video templates? You can't really use video template if you don't have a video editing software. To start to use a video template, you need a video editing software like windows movie maker or Apple iMovie .These two free software come with some free video templates too. As the resources come with windows movie maker and iMovie are very limited, it is mainly used by beginners to learn the basic skills by using these two software. To create a masterpiece is kind of difficulty. To sum up, if you want to get kinds of video templates, you can buy some really powerful video editing software like Adobe premiere, Sony Vegas pro, final cut pro, cyber link power director, Corel video studio all comes with cool video templates. Adobe after effects is best but it is most expensive too. If you are really interested in video editing and create a lot of videos, spends some money on a powerful video editing software is really worthwhile. This is recommended for specialist because after effects is very expensive and it is extremely complicated. Another alternative option to after effects is Wondershare Filmora9 (Latest Filmora version 9), which is a best video editor for amateurs based on its abundant video template resources and reasonable price and user friendly interface and lifetime support, so you can take a look at it. Step by step instruction on how to create a video by using Wondershare Filmora9 video templates. To begin with, download Wondershare Filmora9 first. Find more effects at Filmora Effects Store. Step 1. Import your media files such as video, photo and music files. There are two ways to import your videos, you can drag and drop to import videos to our software directly or you can click import to choose the media files you want to import. Step 2. 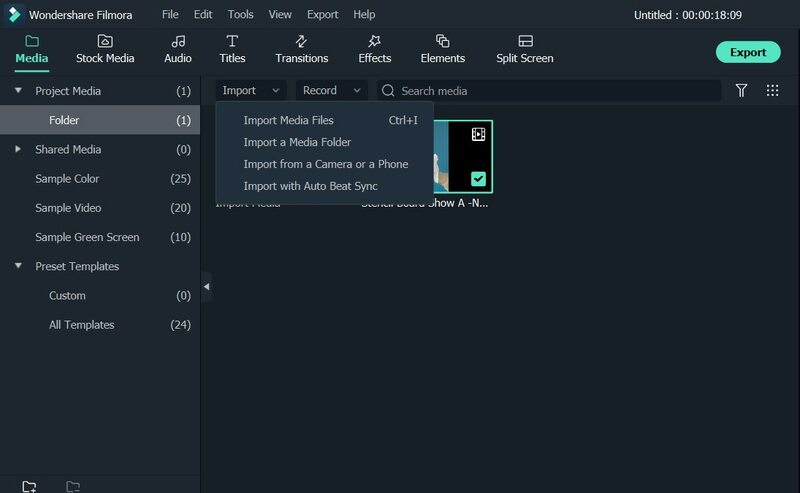 Add the video templates you want from wondershare Filmora9. Like music, text, filters and overlays and motions effects, you just need to right click on them and choose apply. After applying the video resources such as text, elements, you can do some customization on the texts such as change the size, location etc. Step 3. Export your project to a new video easily. After applying the video resources to your videos and click export, you will got a brand new videos and you can start share it on a birthday party, weddings or for marketing just like any others create videos. If you want to know more features about Wondershare Filmora9 (Latest Filmora version 9), check the video below and download it to have a try! Video MEME video templates??? Looking for drag n drop video meme template. Where I can drag video to middle with a jpeg image of text above, bellow or both. Scale able text over a background color or even the video itself would be awesome! But I will settle for drag n drop images mixed with video! WHY CANT U ADD SOME DIGITAL EFFECTS ?